Pet Groomer is a tool aimed at all sorts of businesses that are related with pets with which you'll be able to organize your timetable and the tasks you have to carry out. It's recommended for all kinds of businesses that deal with pets: from vets to pet shops, as well as dog groomers, etc. Organize your company's work: dog groomer, vet, mobile groomer, etc. Create a database of pets and store all the information about your customers on it: owners with names and addresses, vet history, etc. 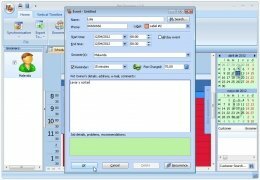 Create a task timetable for each worker and easily view it. Date browser to check and edit each day's jobs. Create backups to store the data securely. 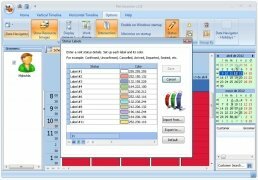 Import data or export them in several formats: iCal, Outlook, PDF, XML, HTML, XLS or TXT. 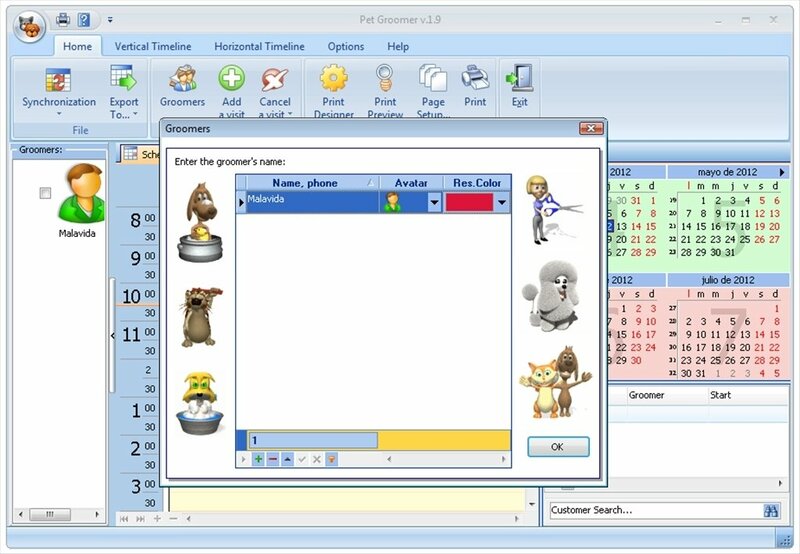 The 'Ribbon' style interface of Pet Groomer is appealing and functional. 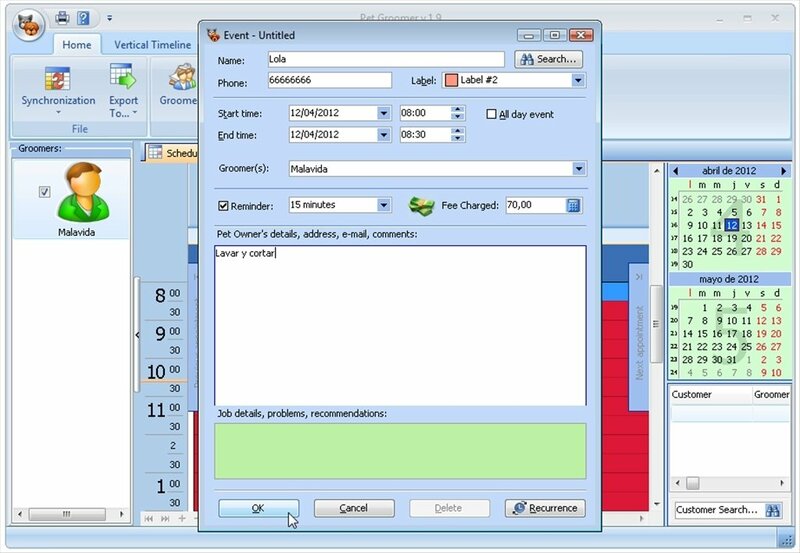 In a few clicks you will be able to view the tasks assigned to each worker and create reminders by means of an alarm. 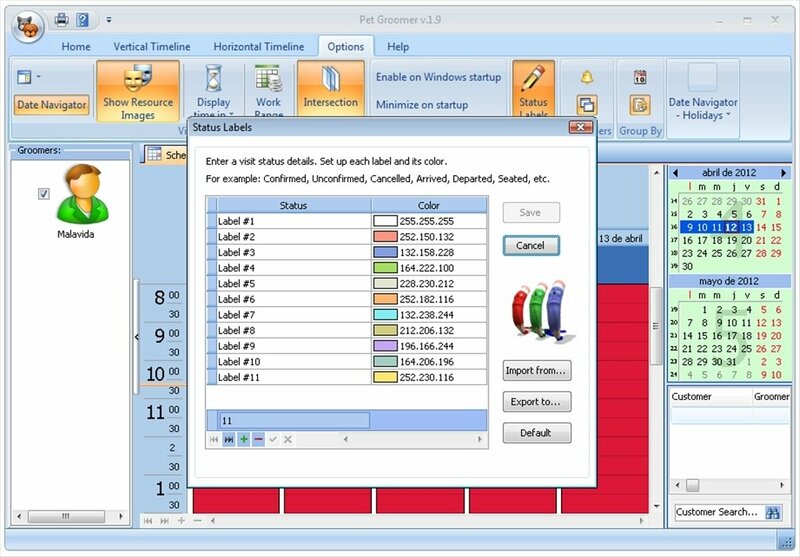 It also has several timetable views, so that it will be easier to view the distribution of the tasks throughout the day. The several printing options will also help you to obtain the data from the software on paper. Manage your pet company with Pet Groomer.